The foldable Galaxy X phone missed its rumored Q3 launch and certainly did not come out ahead of the Galaxy Note8. 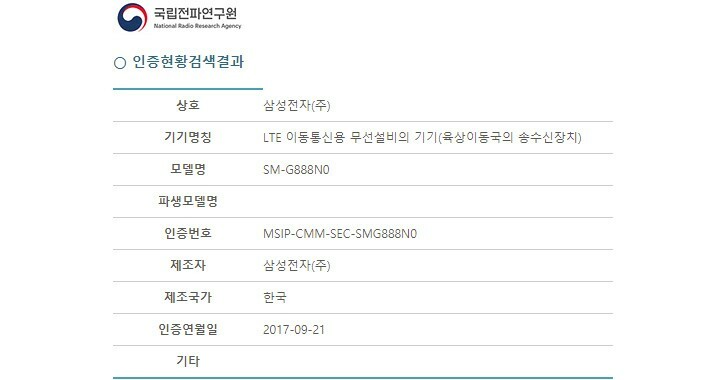 It is still busy collecting certifications – from the Wi-Fi and Bluetooth authorities and now one from South Korea’s equivalent to the FCC. This certification mentions the familiar model number – SM-G888N0 – but doesn’t betray much more than that. The “N0” suffix reportedly marks a Korean model. Things are looking good for a launch in the holiday quarter, but when a worldwide launch may happen is unclear. From Samsung’s patent drawings, it looks like the company intends to take the widescreen to an extreme – the whole internal side of the flip phone will be covered in a flexible screen. That would make it much, much wider than the S8’s 18.5:9 screen. Samsung are just as bad as Apple.